of departure) provided by First Air (estimated value: $14,500). Many prizes for each categories are provided. Make sure that your images are in JPEG format only, 400 to 2000 pixels wide, and do not exceed 1 MB. Files exceeding 1 MB and/or in formats other than JPEG will be rejected by the system. Important: It is important, if submitting on-line, that you keep available a high-resolution version of each image that you submit (uncompressed TIFF or maximum quality JPEG, Grayscale or Colour (RGB), 300 dpi, minimum final print size of 8 x 10”). 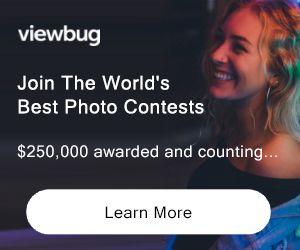 Should any of your images be selected as a winning entry, the high-resolution version will be required for reproduction in Photo Life magazine. Failing to provide a high-resolution version if required could compromise your win. Judging Criteria Originality, relevance to theme, composition, lighting, and technical quality, including print quality if submitting by mail. By mail: You can participate either by regular mail using the Official Participation Form found within the pages of Photo Life magazine or by downloading, printing, and using a PDF file of the Official Participation Form provided here. On-line: You can also participate using the on-line facility (high-speed Internet connection highly recommended), for more information, click here. PRIZE DETAILS: ELIGIBILITY: Open to all photographers 16 years of age or older. Not eligible to enter? - Find contest where you are. COPYRIGHT: Apex Publications Inc. reserves publication rights of winning images in its magazines (including covers) and electronic media, as well as possible use in future Image International contests' promotional material.